What is penalty for Keeping Black Money in India? The NDA (National Democratic Alliance) Government declared the Black Money Bill of the year 2015 recently. The Black Money is the money on which no tax has been paid. This money is stored in overseas banks by the Indians. Let’s have a look at the details of it. Update :- As you know, 30th September, 2015 was the last date to show black money (after that it will be 30% penalty on taxable income), people showed poor interest in this. Only 29 people have come out in open and have declared it. 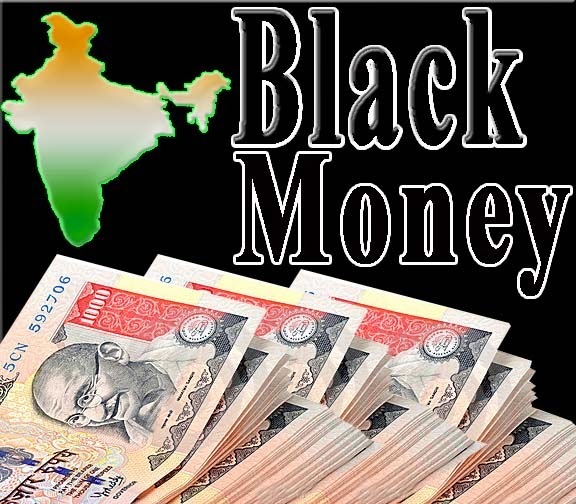 The amount of black money declared sums up to Rs 2,000 crore, according to a report by Times of India. Joint Secretary of Central Board of Direct Taxes (CBDT) V Anandrajan had said this. The Black Money Bill 2015 is announced to penalize the Indians who have hided money in overseas banks. This bill was introduced in a Lok Sabhha on 21st March 2015. according to the official statement, the secret foreign income and assets, 2015 offers to tax the hidden foreign income or assets of any person at the flat rate of 30% during charging a penalty at the rate of 90% of secret income or assets, i.e. three times the amount of the tax payable. Here are the penalties disclosed by the Black Money Bill. 1. In case of failure to provide income tax return in the respect of foreign income or assets will be penalized with Rs. 10 Lakh. 2. If any person has a hidden income or asset placed outside India will be charged to pay three times the normal tax rate of 30%. 3. If any Indian tries to avoid tax, than he/she will be punished with painstaking custody from three years to ten years with fine. 4. Encouragement to make a wrong return or an incorrect account or statement or assertion will be punished by custody from 6 months to seven years. 5. If the person fails to deliver a return in respect of foreign assets and bank accounts or income will be punished with imprisonment for time duration of 6 months to seven years. These are the penalties for different offenses that the person having black money will have to pay. The undisclosed foreign income and assets bill, 2015, recommends up to 10 years of jail for hiding foreign assets and income as well as dodging of tax. In addition, banks and financial institutions that have hidden black money will also be punished for up to seven years. Pay your income tax returns regularly!